Sleeping Bear Press, 9781585369638, 32pp. Farmer would just like to sleep in but his early morning slumbers are disturbed by his faithful companion, Donkey. And Donkey isn't there to bid Farmer a good morning. As it turns out, the prospect of fun and food has lured the farm's livestock to a local fair. Now it's up to Farmer and Donkey to go round up the wayward critters before they can get into too much trouble. Or is it too late? 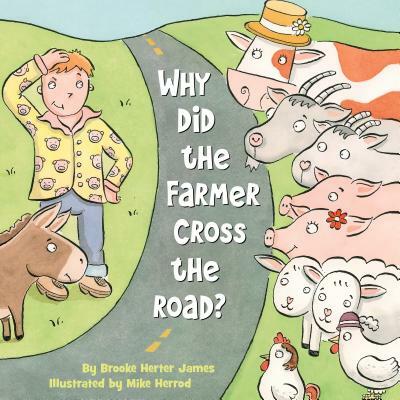 Young readers will laugh out loud at the antics of the farmer's chickens, goats, pigs, and one anxious cow in this quirky take on the traditional knock-knock joke.